The GPS community is seething over a January 26 decision by the Federal Communications Commission (FCC) giving a conditional go ahead to a new broadband network with the potential to overwhelm GPS receivers across the country. GPS III contractor Lockheed Martin has integrated several virtual reality technologies in a new Collaborative Human Immersive Laboratory (CHIL) in Littleton, Colorado, which will be used to validate and test next-generation GPS and other space programs. With CHIL, Engineers and technicians can explore satellite designs and functions, troubleshoot and fine-tune them in a virtual world before building them in physical space. 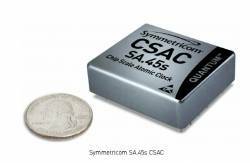 After eight years of successful participation in the Defense Advanced Research Projects Agency (DARPA) chip scale atomic clock (CSAC) initiative, Symmetricom, Inc., announced today (January 18, 2011) the general availability of what it says is the world’s smallest, lowest power atomic oscillator: a 16 cubic-centimeter unit weighing less than 35 grams (about 1.25 ounces) and operating on only 115 milliwatts of 3.3 VDC power. 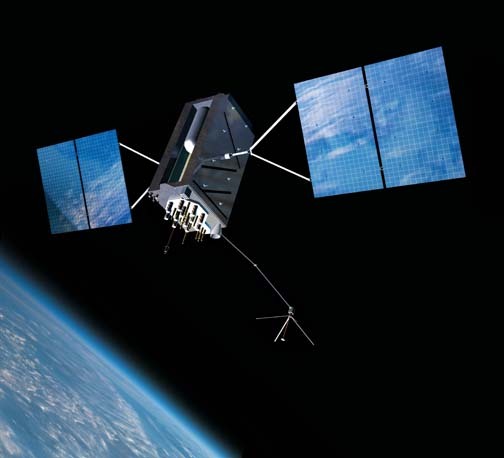 In satellite navigation, a GNSS receiver must account for several sources of error such as relativistic effects, atmospheric propagation delay, offset of satellite clocks from system time and satellite ephemeris. In order to accurately compute user position, velocity, and time (PVT), these errors need to be predicted/estimated precisely. 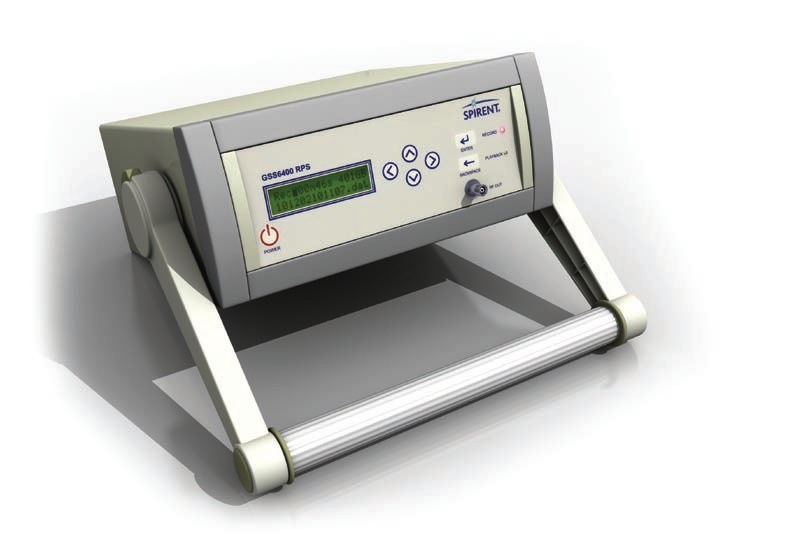 Spirent Communications, long established in the laboratory test marketplace with its line of navigation and positioning simulators, has extended its product development into real-world environments by introducing a GNSS record and playback system (RPS). 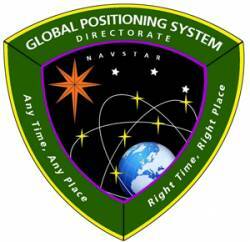 The GPS program continues progress on several fronts — in space and on the ground. During fall 2010, the U.S. Air Force and the Raytheon Company team developing the GPS Advanced Control Segment (OCX) successfully carried out an integrated baseline review (IBR) for the next-generation system on schedule. When completed in 2015 under the current schedule, GPS OCX will deliver control segment enhancements designed to provide secure, accurate and reliable navigation and timing information to military, commercial and civil users. Return to "GNSS Year in Review"
We’ve come a long ways from the attitudes of the Cold War environment in which the Global Positioning System and GLONASS programs arose. The GPS Directorate completed its second Annual GPS Enterprise Review (AGER) on December 17, concluding that the program has achieved major milestones in developing and deploying modernized GPS capabilities. Col. Bernard Gruber, GPS program director at the Space and Missile Systems Center, Los Angeles Air Force Base, led his team through a Defense Acquisition Board (DAB) review chaired by Frank Kendall, deputy undersecretary of defense for acquisition, technology and logistics, and attended by other senior Department of Defense (DoD) officials. The Aerospace Corporation has completed acceptance testing on the GPS III Bus Real Time Simulator (BRTS) from the Lockheed Martin–led team developing the next-generation satellite program, keeping the initiative ahead of schedule. The BRTS is a specialized piece of test equipment designed to reduce risk and ensure overall mission success for the lifecycle of the GPS III program. The simulator will enable Aerospace Corporation to independently validate GPS III bus flight software for the U.S. Air Force. A new report on the GPS program from the Government Accountability Office (GAO) finds the situation considerably improved from last year, when its prediction of a significant risk of the satellite constellation falling below 24 satellites set off alarms in Congress and among the user community. It is not all about the satellites, of course. And, despite the thrill of launches — the Fourth of July and every other national holiday celebration all grown up — it’s not about the rockets. When evaluating the progress of GNSS programs, however, satellites and launches are a way to keep count — in fact, it is the way most of us do keep count. By that measure, then, the numbers are adding up quickly.